Visit the enlightening new Morgarten Information Centre and delve into the historic events that created the backdrop to the crucial Battle of Morgarten. 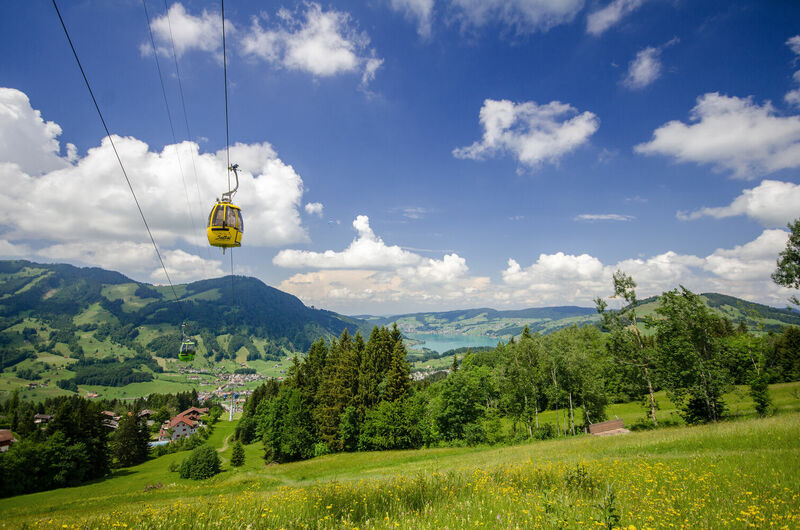 Contrast that experience with an excursion into the fun-filled Sattel-Hochstuckli region. It starts with an unforgettable ride in the world’s first revolving gondola. Then get an adrenaline rush crossing the Raiffeisen Skywalk suspension bridge 58 metres above the Laui Gorge and take in the spectacular panoramic views. It’s a perfectly balanced day trip for your corporate event or your social club. Those keen to add another thrill can race down the toboggan or tubing run. We are happy to make suggestions for a leisurely lunch or dinner in one of our cosy mountain restaurants.